This award-winning project reconstructed 56th Street between McDonald Drive to Lincoln Drive and included removals, grading, 6,817 square yards of asphalt paving, concrete flatwork, sewer modifications, pathway lighting, 11,930 square feet of roadway pavers, traffic signals, signing, striping, and custom aesthetic site amenities including a pedestrian node with shade, pavers, and seating. Additionally, crews removed the row of oleanders along the El Chorro Restaurant frontage (on the north side of Lincoln Drive east of 56th Street) and constructed a new wall, meandering sidewalk, landscape & irrigation. Crews also constructed a new pavered crosswalk and curb at McDonald Drive and Superstition Lane in front of Sanctuary Resort and Spa. 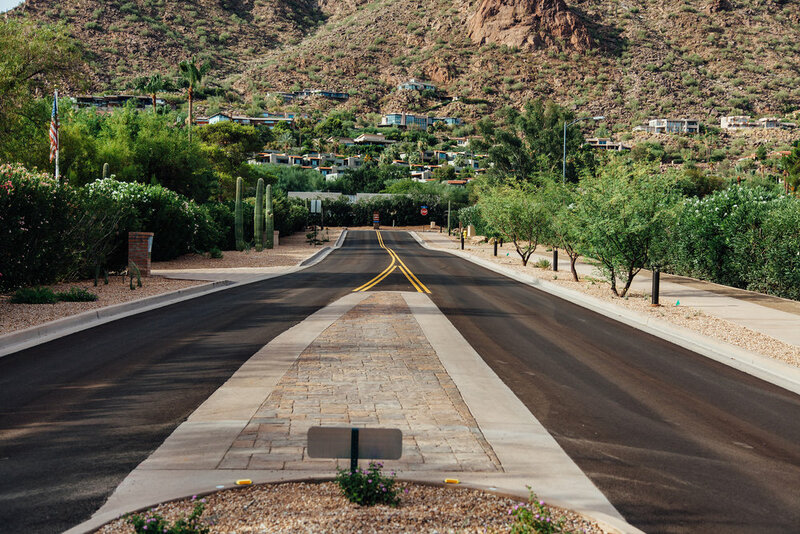 This project's construction was concurrent with the Cullum Homes custom home development on the east side of 56th Street and the Mountain Shadows Development and golf course on the west side of 56th Street. Extensive coordination with those projects, as well as residents along 56th Street, facilitated the successful completion of this project. The 56th Street Reconstruction Project transformed the worn down segment of 56th Street between McDonald and Lincoln Drives into a highly functional, safe, visually appealing, multi-use connector. 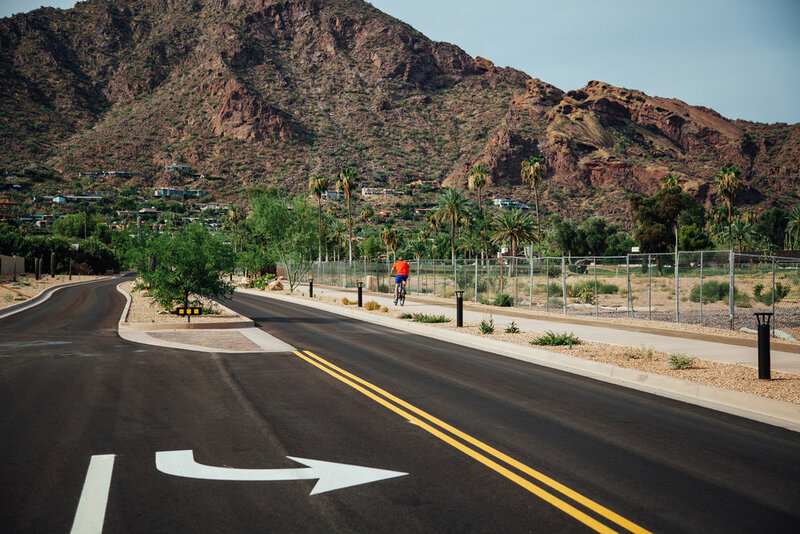 The Town of Paradise Valley used the project as the impetus to create new “Visually Significant Corridor” guidelines to serve as the groundwork for future roadway development in the area. Under the CMAR delivery method, the town very successfully brought together general contractor Achen-Gardner Construction, designer The CK Group, development stakeholders, residents, and the general public to create the new guidelines and the first enhanced roadway according to these new standards.